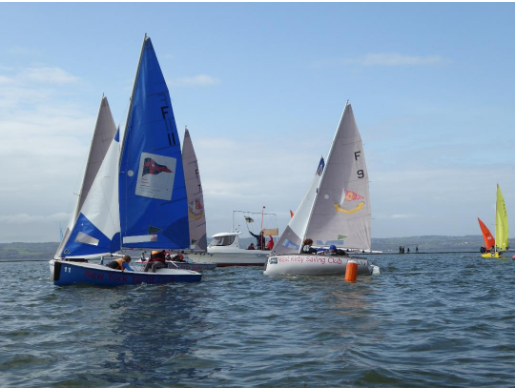 UMSC, LUSC and WKSC welcomed on the 30th & 31st March, 24 teams of university, school and alumni sailors to the Big Lash. After a short delay due to lack of wind in the morning, racing got underway just before midday in sunny and light conditions. 72 races were completed (6 races per team) with boats off the water by 5pm. Saint Rath were the only team able to keep a clean sheet, closely followed by 5 teams on 5 wins forming the gold league. 4 teams finished on 4 wins, with the remaining 2 places in silver decided by an average points 4-way tie-break. 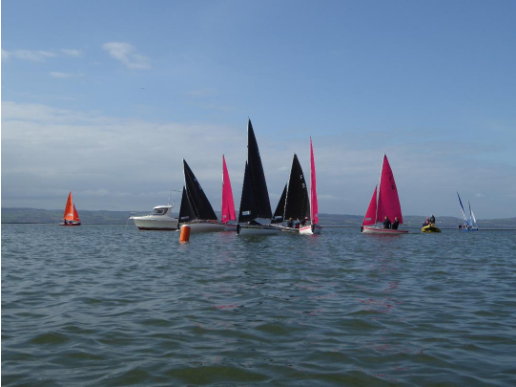 Racing started just after 9:30 with 60 league races in a relatively steady 10-12knt breeze. Saint Rath (Strathclyde Alumni), Edinburgh University Blue and Leeds University Pink from Gold league made it into the semis with the Silver Surfer, Old and Slow (Northern university alumni). The semi finals went Old and Slow 2-0 Saint Rath and Edinburgh Blue 2-0 Leeds Pink. The final finished Edinburgh Blue 2-0 Old and Slow. The socials were hosted in Liverpool. A first night out in Ink, followed by a Shrek-themed fancy dress party at the Raz on Saturday. Manchester dressed as Shrek, Liverpool as Fiona, and all the other teams as different characters ranging from Little Red Riding Hood to Blind Mice to Donkeys! We certainly enjoyed the weekend, and so did all the competitors! Thanks to all the University of Manchester Sailing Club and Liverpool University Sailing Club volunteers, as well as those from West Kirby SC and the great umpire team! In particular, Paul Colquitt (Event director), Graeme Nicholson (Bosun), Peter Johnson (CHUMP) and Richard and Jane Cornah.